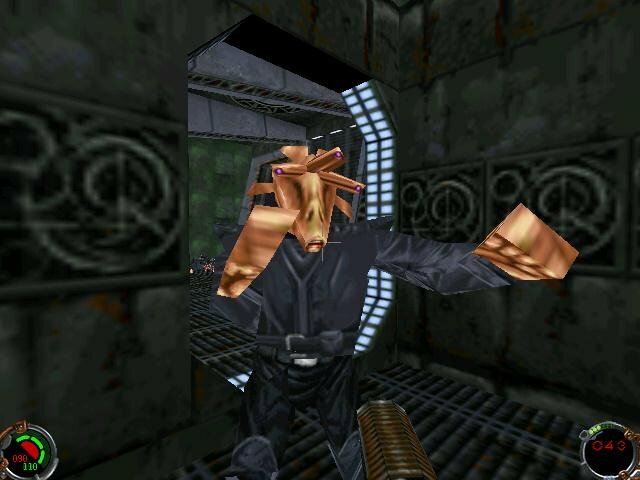 Save the galaxy or destroy it yourself. 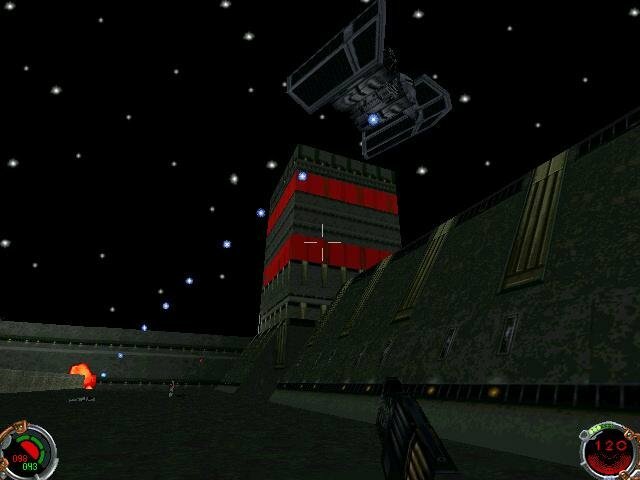 As a completely story-driven game featuring some neat lightsaber battles, large maps and the ability to become either a Light or Dark Jedi, it’s no surprise that Dark Forces II gets hailed as one of the best Star Wars games. 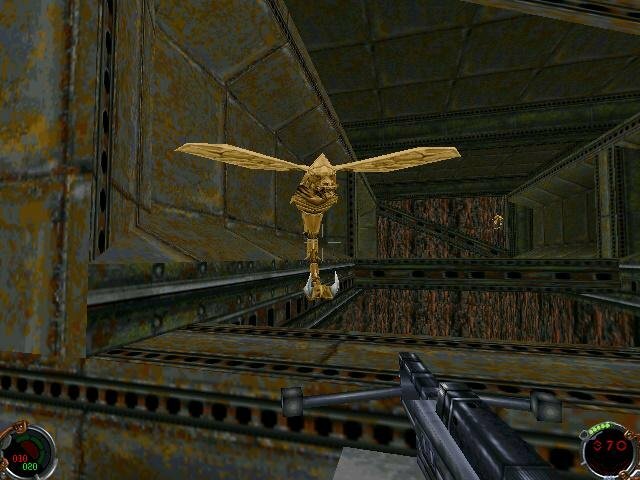 While it stays a little too close to the conventions of the genre and feels a little bit too much like an improved Dark Forces rather than a product with its own unique identity, it’s still a beautifully designed game with some genuinely creative twists. 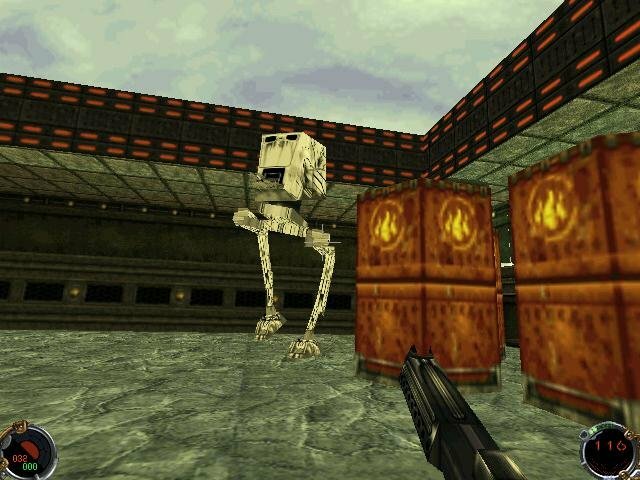 The story takes place in the Star Wars universe but makes no direct references to the movies, instead continuing from the events that concluded the first Dark Forces game. 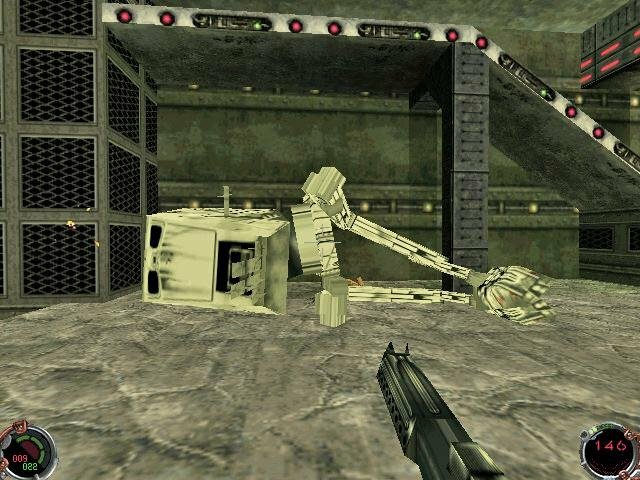 You play a vengeful Kyle Katarn, who learns that seven Dark Jedi plan to unlock the powers of a secret hidden Jedi burial ground. Along the way, Kyle learns more about the Force, and will have a chance to cross-over to the Light or Dark side based on both his actions during the game (if you shoot innocent civilians, you’re evil) and how you distribute the “Force points” that are awarded after completing levels. 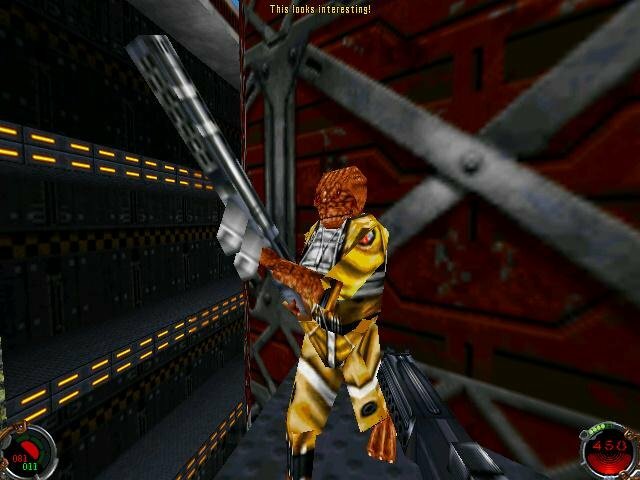 Unlike most first person shooters at the time, the story is what drives the levels in Dark Forces 2 and not the other way around. Each one is tightly embedded in an unfolding plot, usually consisting of several objectives needing completion. 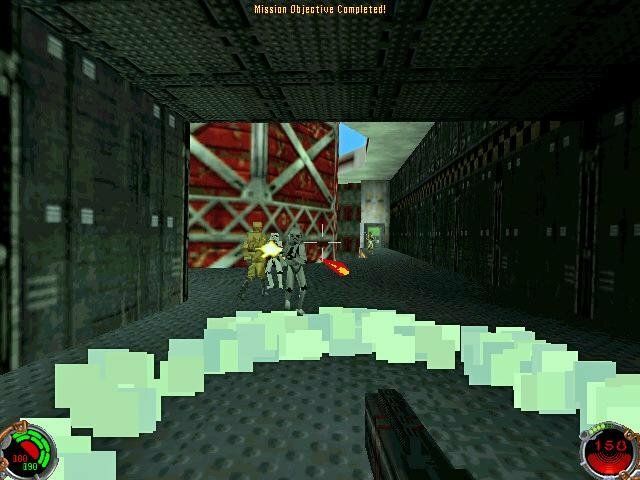 The end of most levels are interrupted by cutscenes played by real actors, wrapping up whatever just happened and setting the scene for what’s to come. The acting in only so-so, but a few characters, like the protagonist, are enjoyable to watch. 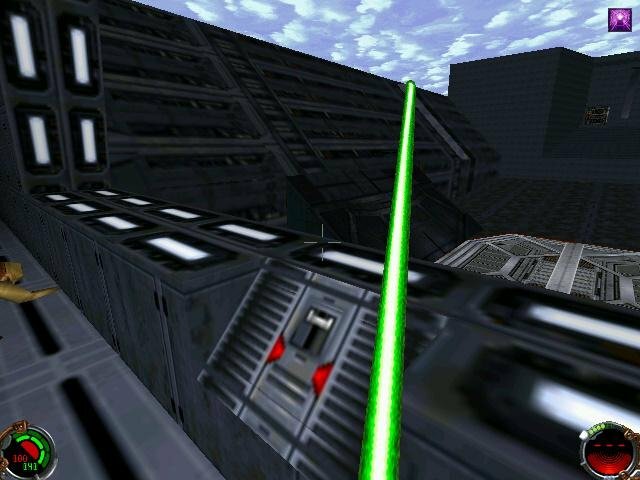 The actual design of each of the levels is what ultimately sets Jedi Knight apart from its competitors. 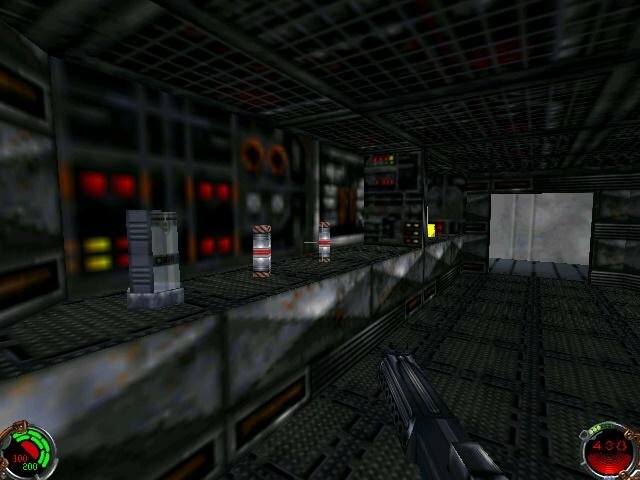 The first two levels feature what perhaps is the best representation of a working environment ever—they take place in the bowels of a space station. 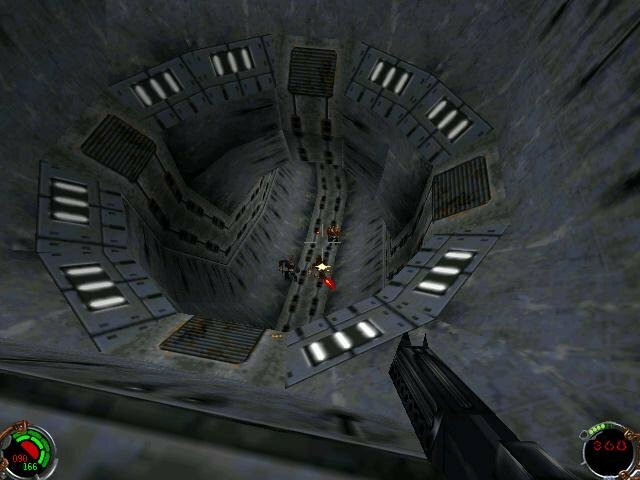 You’ll be running around amidst a series of conveyor belts and what appear to be garbage containers. 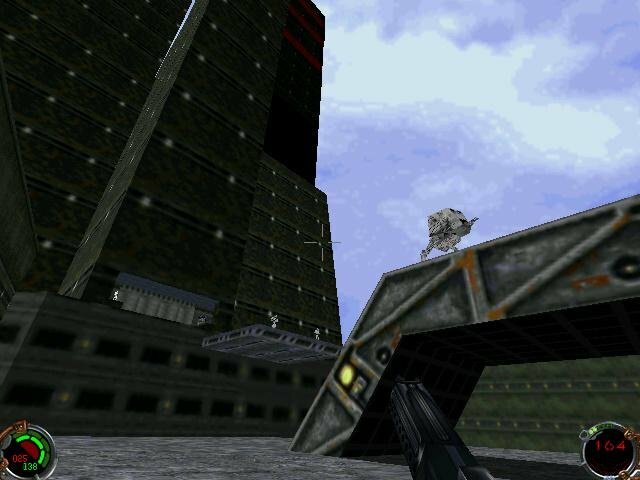 Even from minute one you’ll notice just how impossibly giant everything looks – if there’s one game to inspire a sense of vertigo, it’s this one. 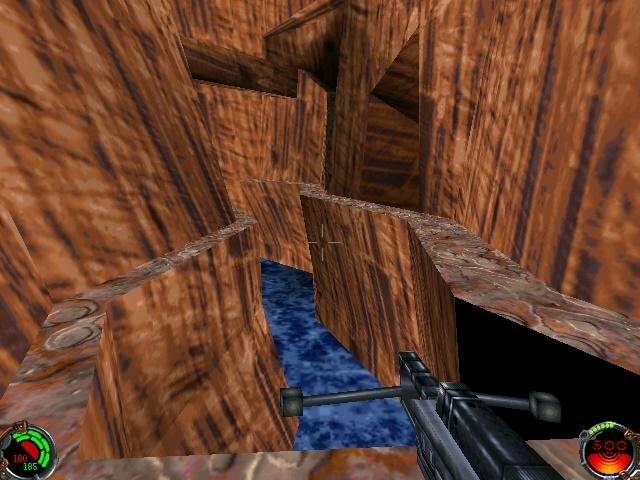 Other levels are less impressive visually, but include other interesting features. Level 15—”The Falling Ship”—takes place on, duh, a ship as it falls to the ground. 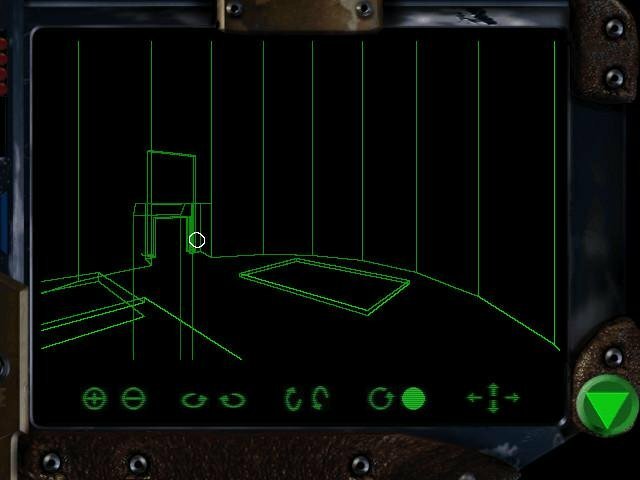 It’s a timed level, the only one you’ll encounter during the game, and what makes it so brilliant is that each of the rooms is sideways or twisting. 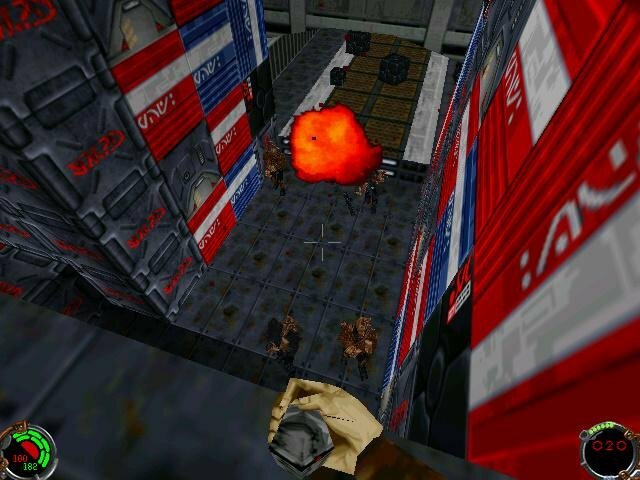 You’ll jump on the ceiling and slide down the floor—boxes explode with no warning, and the only way you’ll be able to survive is to follow the arrows to the exit. 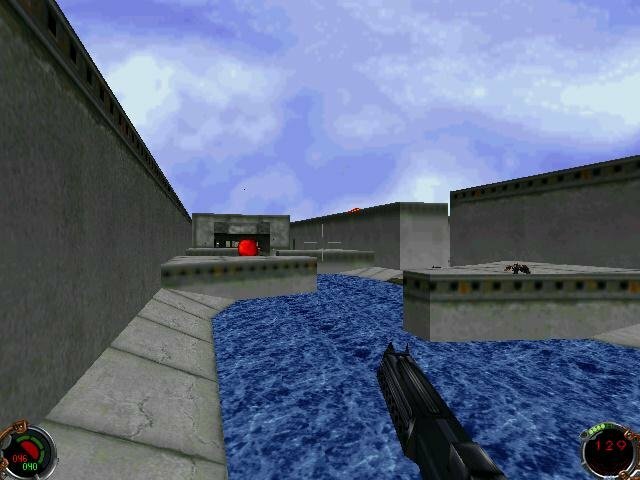 It’s an exhilarating dash, easily one of the best moments of the game. 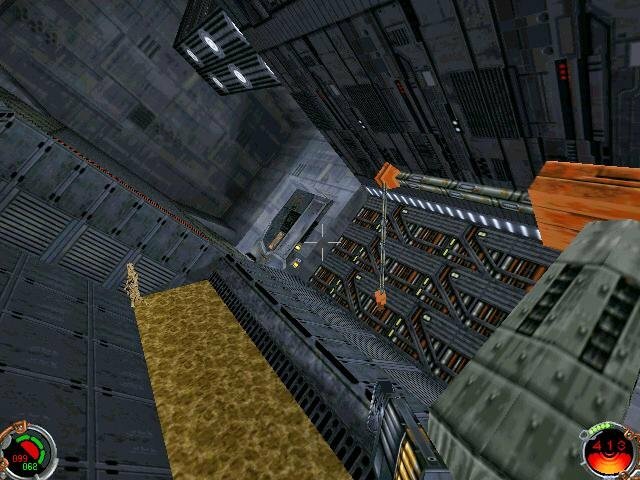 Other levels, like an Imperial tower that cuts through the skyline or a suspended aqueduct system, inspire plenty of nauseating vertigo. The levels themselves are logically built and often feel self-sustaining thanks to all the elevators, switches and equipment everywhere. 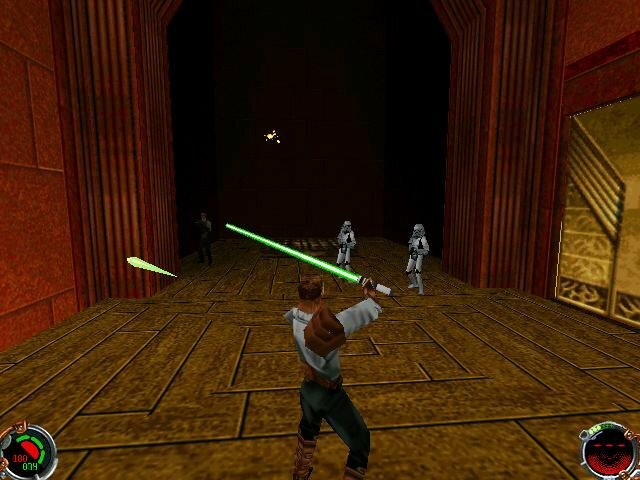 Jedi Knight’s starring feature consists of one-on-one lightsaber duels with other Jedi. 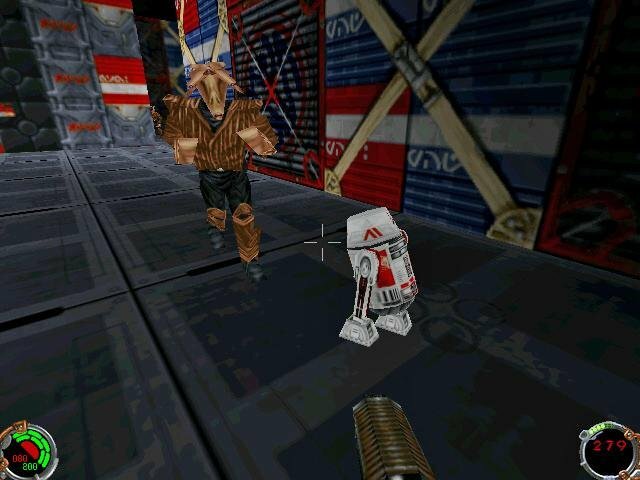 These are arguably the best part of the game and they offer some tense distractions from shooting stormtroopers. 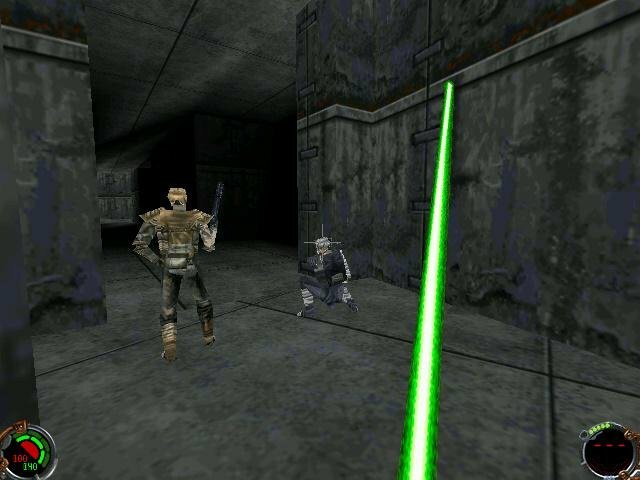 There are several such battles that take place against key characters – Dark Jedi out to fight on their master’s behalf, and their saber fighting prowess is good enough to keep such duels interesting. 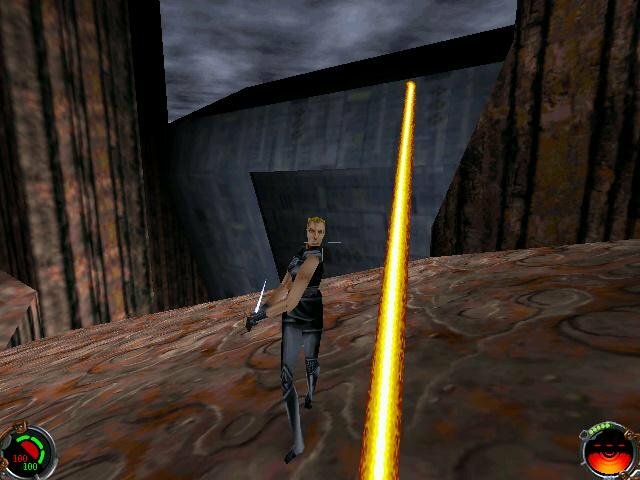 You get the lightsaber as early as level three, and you can even complete most of the game with it. 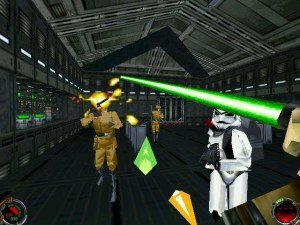 The addition of Force Powers that become available as you progress through the game is another point of interest. 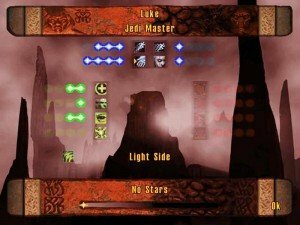 There are a total of twelve such powers, some of which will becomes available depending on which side you choose to play as – be it Dark or Light – with a set of secondary Neutral powers unlocked on the side. There will be a middle point in the game where, depending on your actions, you’ll either switch to being a good or evil Jedi, a decision that will have a profound effect on how the rest of the story unfolds (the two possible endings are diametrically opposed, so it’s worth playing the game twice just for this aspect as well as the new Force Powers). It’s strange how the game assumes that every bystander I kill is done with malice, but that’s how the system works. Slaughtering every civilian will definitely land you on the Dark Side, while saving and sparing them will turn you more benevolent. 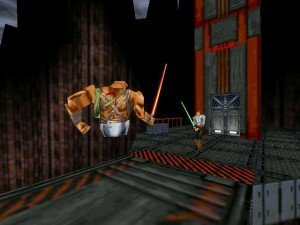 The Force Power system has some issues. You have to shift through these powers and activate them manually, much like an inventory system. The rate at which points are awarded for upgrading your Powers are skewed, which might leave you defenseless against more powerful one-on-one Jedi standoffs. The visuals in JK are somewhere between good and merely okay-ishl. 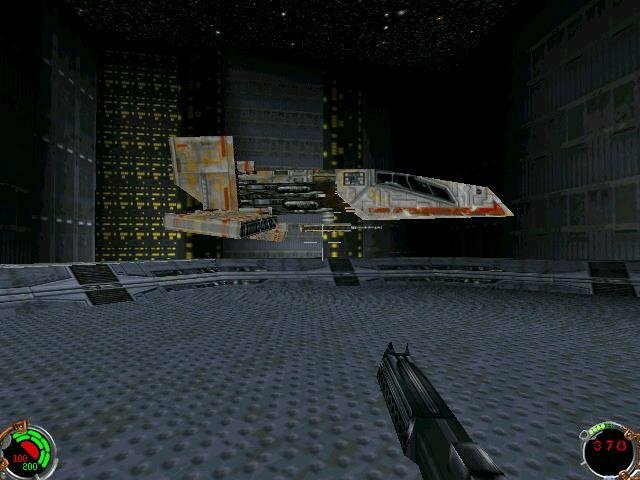 LucasArts developed their very own engine as part of their entry into true 3D (its prequel made use of sprites and 2.5D levels). 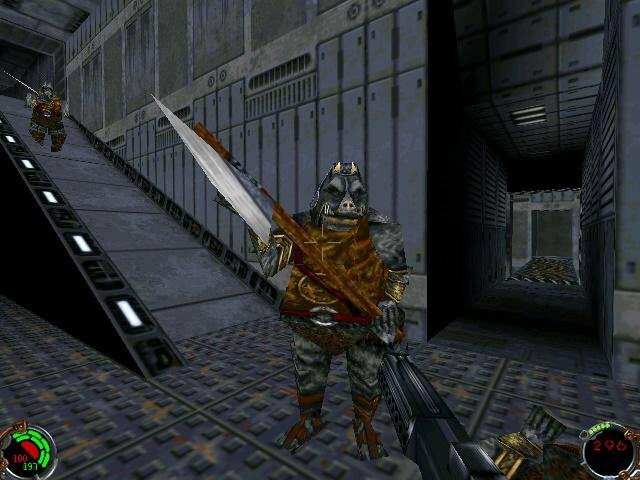 Every character model and weapon in JK is made up of actual textured models. 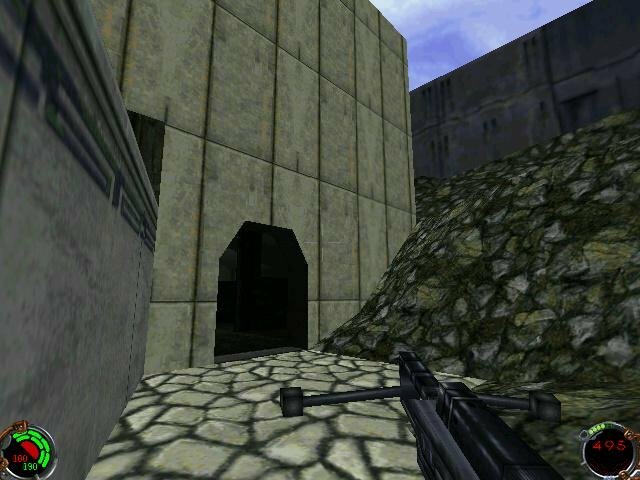 By and large, the textures are probably the best part of this game from a visual perspective. 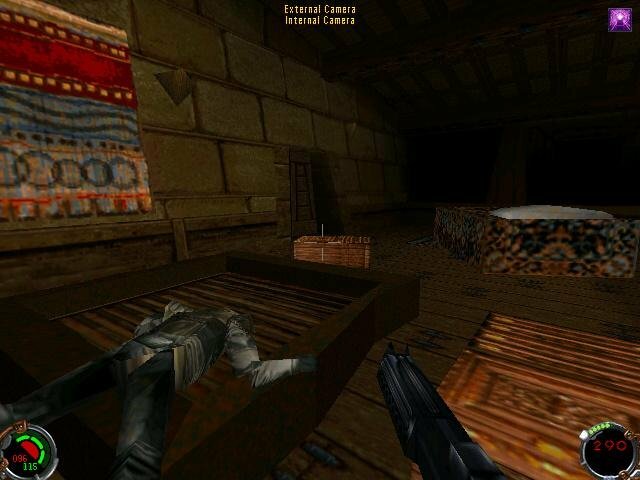 The game supports 3D accelerators through Direct3D, although it is poorly implemented and remains indistinguishable from its software-rendered counterpart. What else is there to say? 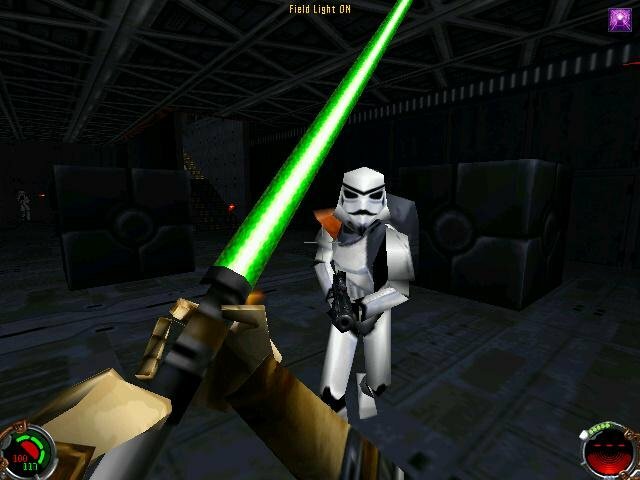 Jedi Knight is a simple, straightforward and ultimately worthwhile shooter that brings to light some of the best Star Wars can offer – immense futuristic environments, cool lightsaber battles, usually good acting and ultimately great fun. 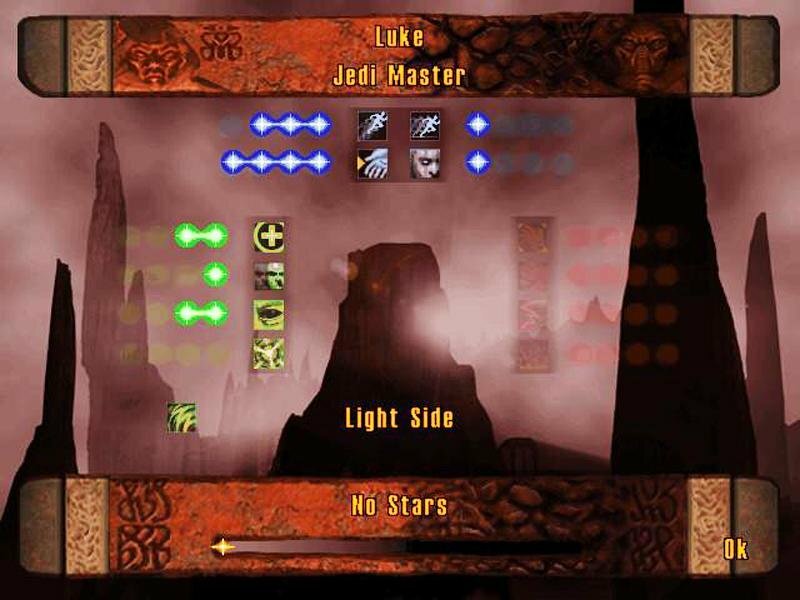 Don’t know when this review was written, but you can assign each force power to a different key. The neutral powers are already linked to the F keys (F5, F7, etc). There’s a whole dedicated menu for this function, and it’s not at all hidden. Thanks, I somehow missed that part! The controls are a bit odd in JK.